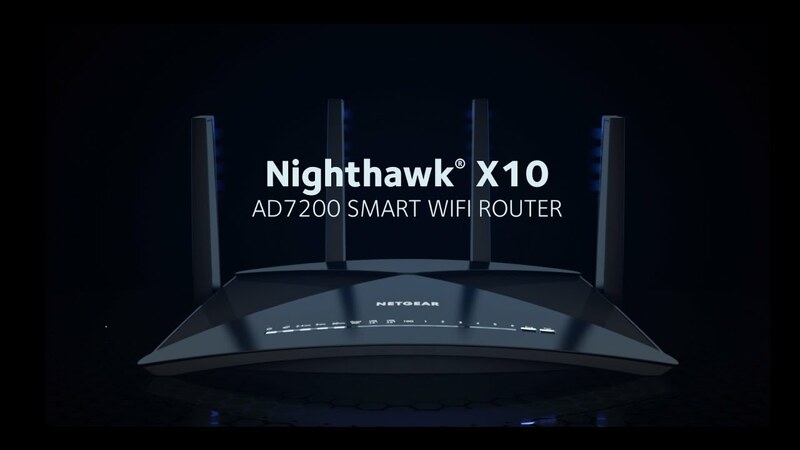 The Netgear Nighthawk X10 is for anyone thinking about a long term investment in their home network or for tech enthusiasts who want the future, today. Whilst this is more pricey then other available routers, it offers a long lifespan because of the kind of throughput it is capable of and it has an awesome media server sharing capability; you can browse TV, Movies, Music ect… through your browser over WiFi without using the internet! The best way to think about the benefits of going for quality when it comes to networking is it’s like a chain, where the weakest link of the chain is how strong that chain is. To make sure that the router isn’t the weakest part of your chain, the Netgear Nighthawk X10 offers incredible speeds over a variety of interfaces. The dual 1Gbps interface would allow you to transfer a 4GB blue ray movie over Cat6 Ethernet in less then 20 seconds. The WiFi AD interface is capable of 4.6Gbps, which translates to a blue ray movie been transferred at 600 Megabytes a second, a total transfer time of 8 seconds. Then there’s the fibre optic connection sporting 10Gbps, over double that speed. Limitations of radio waves and hard drives means that with the fastest SSD hard drive commercially available, you’d just touch that 4.6Gbps transfer rate, the hard drive now been the weakest part of the chain. To take full advantage of this tech with older technology you’d need to map a part of your RAM to be a pseudo hard drive, which will unlock write speeds of over 20Gbps from even DDR3 Ram. A problem with radio waves is the WiFi band for AD operates really high, in the 60GHz frequency range, making it very fast, but short in reach. A rough rule of thumb for radio signals is the lower the frequency range, the better it is at penetration and therefore usable distance between router and client device. To provide a comparison for the difference in frequency, the common N standard operates in 2.4 and 5GHz, and the AC standard operates on the 5GHz frequency. An example of how these speeds will be used in the future is the gradual change in computer architecture. A normal computer has several parts that must exist: CPU, RAM, Motherboard, power supply and hard drive. With these speeds and the quality of connections available, it’s now possible to replace the hard drive with a network connection to a server, saving money on computer parts and making computers faster and lighter. The Netgear Nighthawk X10 makes this kind of harddrive-less usage possible, today, with Windows 10 supporting PXE (Pre eXecution Environment). Note that this tech is still in early days but is now coming about and improving. A Linux supporter would boast that PXE has been around for a long time but if you don’t have enough RAM or a suitably fast network, it was only a gimmick. The cost of computer parts have now reached a point where it’s not only affordable, it’s arguably cheaper now. A good article on RAM drives can be found here for the curious. The media sharing server feature makes the Netgear Nighthawk X10 an internet-less way of watching movies over almost all connected devices at your home. You won’t even need to have a computer turned on to share it, if you’ve got a portable hard drive, you can plug it right into one of the 2, USB 3.0 port’s and stream media over your network. To wrap this review up, the Netgear Nighthawk X10 is a serious piece of hardware and to truly harness it’s capabilities you’d need to know computers, but in a few years this sort of tech won’t just be good; it’ll be essential. You’d be buying this for peace of mind.